"I wish I could do more for the aam aadmi but my hands were tied due to limited fiscal room. But I have put more money and savings in the hands of people"
"BJP sought a mandate for a 'Congress mukt' (free) Bharat. 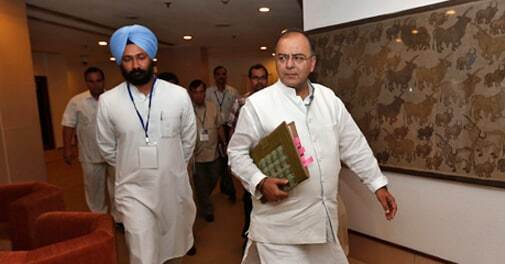 Arun Jaitley would have realised it is not possible to have even a Congress-mukt Budget"
"The budget is visionless, missionless and actionless from the angle of the common people"
"We don't see any major announcements on expenditure cuts, particularly subsidies. There is nothing which indicates a significant cut in subsidy levels of food, fertiliser, etc"
"This doesnt look very different (from the previous governments budgets). The names of the schemes have changed, thats all"
Are the steps taken by the govt to tackle inflation enough?